Whether it’s Talk Like a Pirate Day or any time of year, these Pirate Movies on Netflix are sure to please. It’s only a small subset of the Netflix Kids’ Shows available. In English-speaking popular culture, the modern pirate stereotype owes its attributes mostly to the imagined tradition of the 18th century Caribbean pirate sailing off the Spanish Main and to such celebrated 20th century depictions as Captain Hook and his crew in the theatrical and film versions of Peter Pan, Robert Newton’s portrayal of Long John Silver in the 1950 film of Treasure Island, and various adaptations of the Eastern pirate, Sinbad the Sailor. Looking for Pirate activities for your kids? Check out this Pirate Word Search, Pirate Word Scramble, and Pirate Scavenger Hunt. 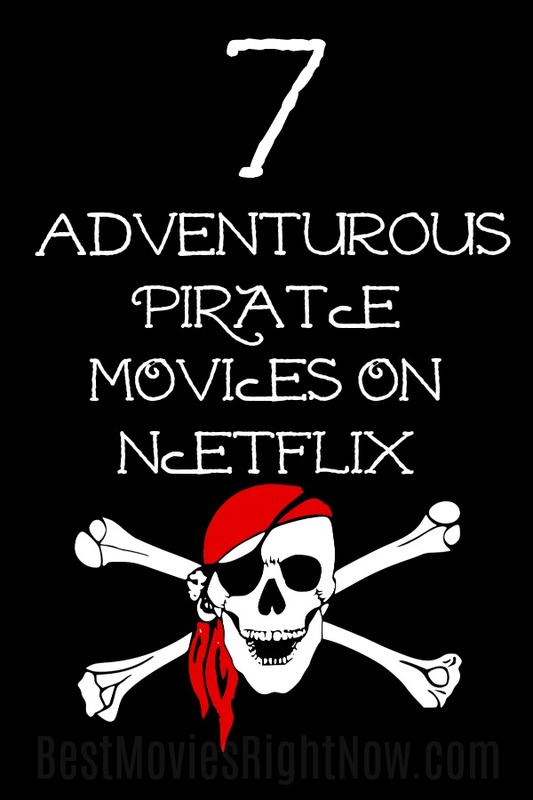 What would you add to this list of Pirate Movies on Netflix?